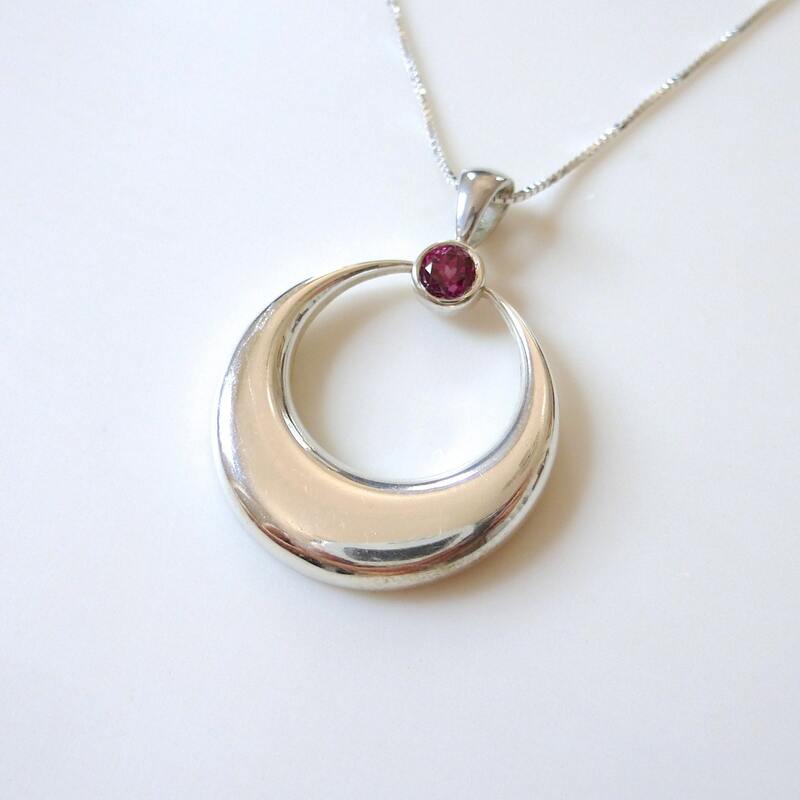 This minimalist crescent moon pendant is simple and elegant. 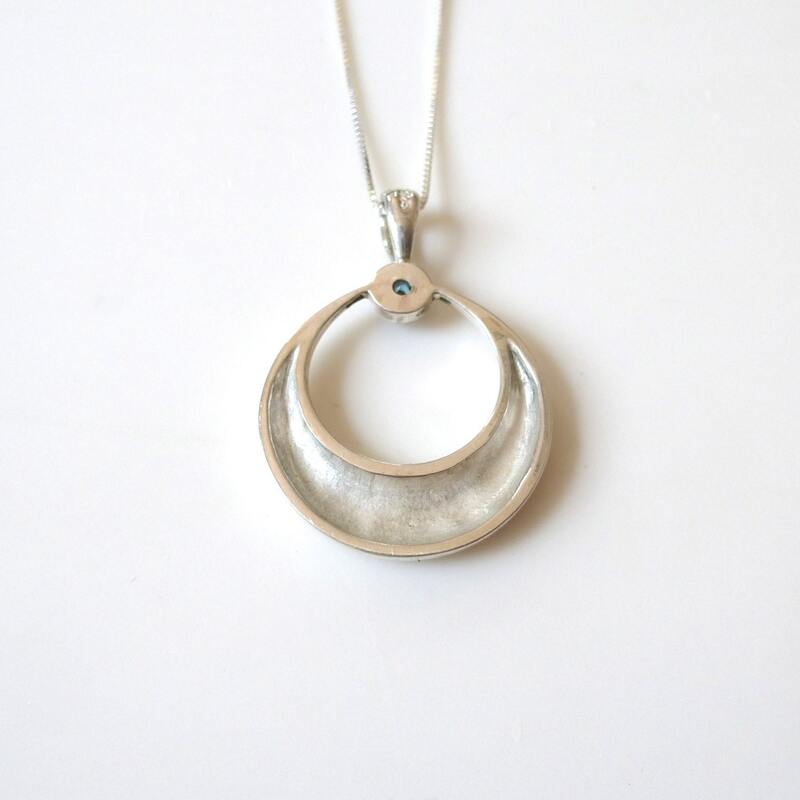 I've carved the pendant in wax, then cast it in solid sterling silver. 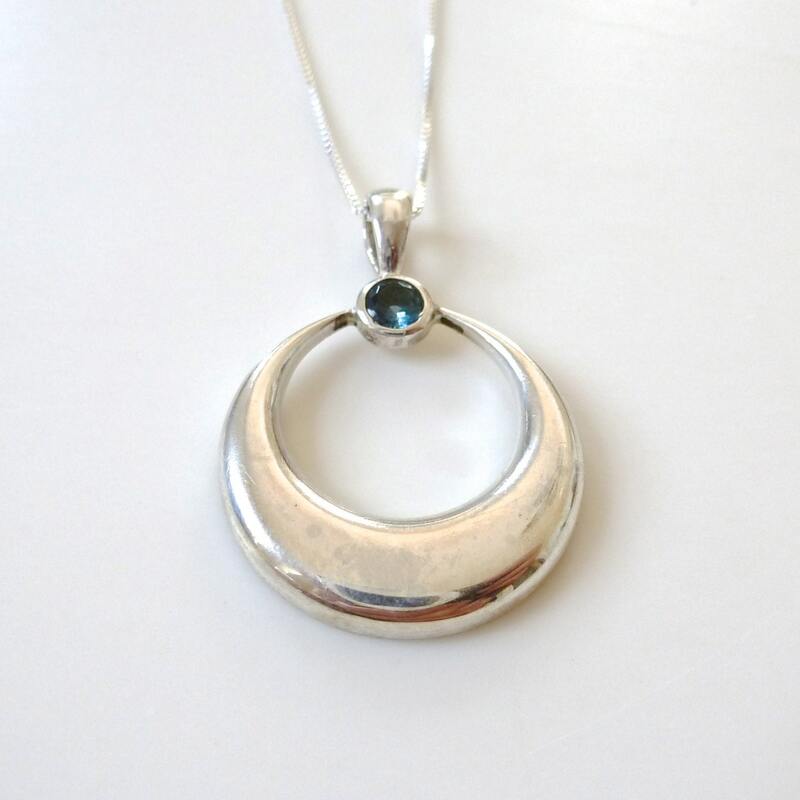 I have then finished it to a mirror shine before hand setting a stone of your choice. I have blue topaz, pink tourmaline and green chrome diopside listed as options, but please feel free to request another stone. 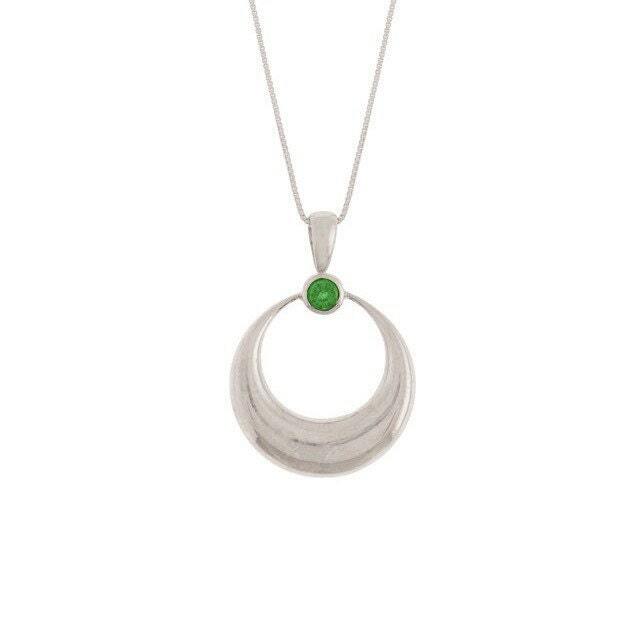 The pendant measures 22mm wide by 30mm tall. Stones measure 4mm. 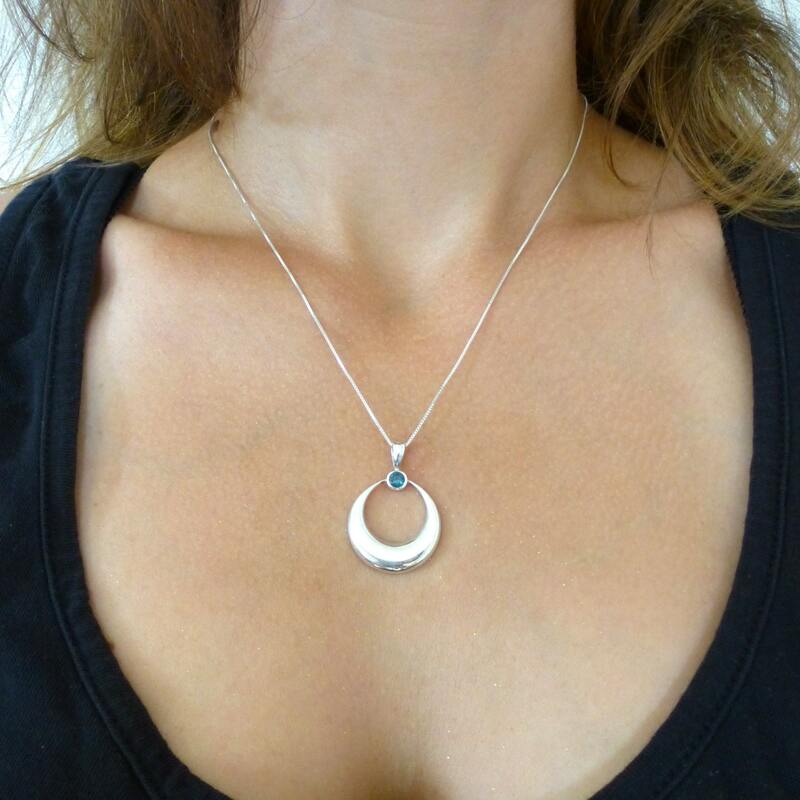 Comes with a 16 or 18 inch sterling silver box chain. Free US shipping with tracking! All items in this shop are made from design to final polish by one woman in her Brooklyn studio. The fact that I have control over every aspect of the business means that I care about all my customers.